This sign is for Oilzum Motor Oils. The sign’s colors are white, black, and orange. 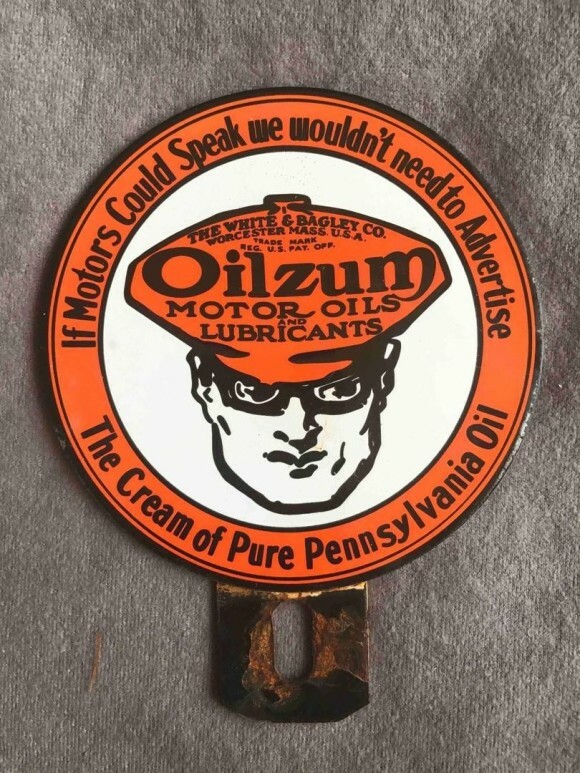 The text on the sign reads: If motors could speak we wouldn’t need to advertise The cream of Pure Pennsylvania Oil Oilzum Motor Oils and Lubricants. The sign shows a mans head in the center surrounded by text.